It's back to school time, which also means the annual freshening up of your kids' wardrobes. NorthPark Center is here to show you what's in and on trend, so no one ends up wearing anything that's — gasp — so last year. As an extra helping hand, NorthPark Center will be hosting the ABCs of Back-to-School Style Presentation on Saturday, August 20 from 10:30 am to 4 pm. This all-day extravaganza will include two presentations from Bookmarks, a fall fashion presentation at 11:30 with commentary from noted local bloggers, a performance from Power House of Dance, and the chance for kids to create their own masterpieces with ArtRocks!. 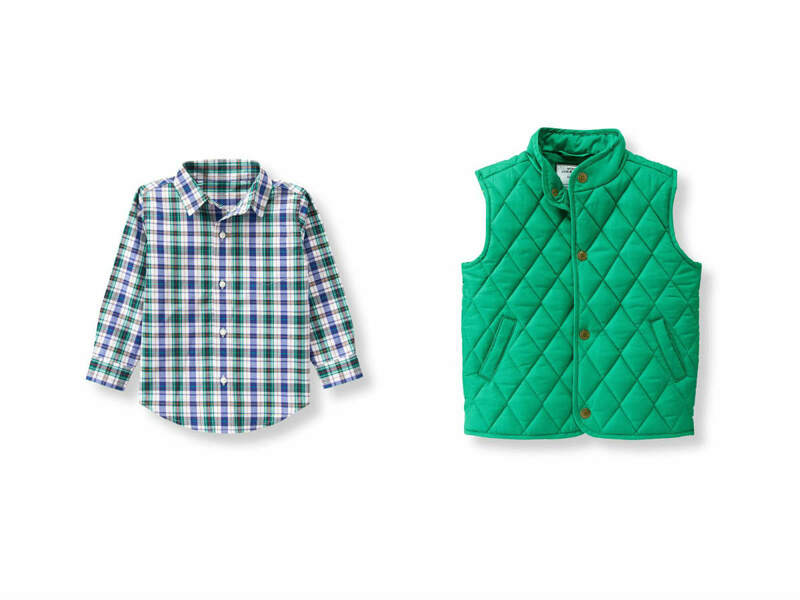 Quilted vests worn over plaid button-down shirts are preppy without being too precious. Janie and Jack poplin shirt in True Blue paid, $36; Janie and Jack quilted vest in Highland Green, $59. Brightly patterned and colored leggings — worn under long tops and dresses — are coming on strong. hanna Andersson Liveable Leggings in School Blue, $29. 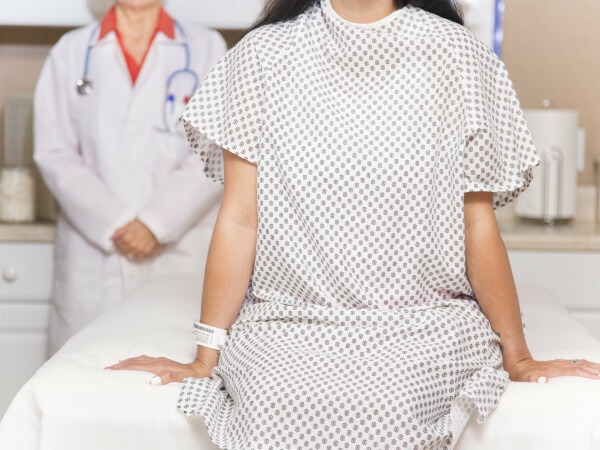 Girls, be proud and show the world what you've got. 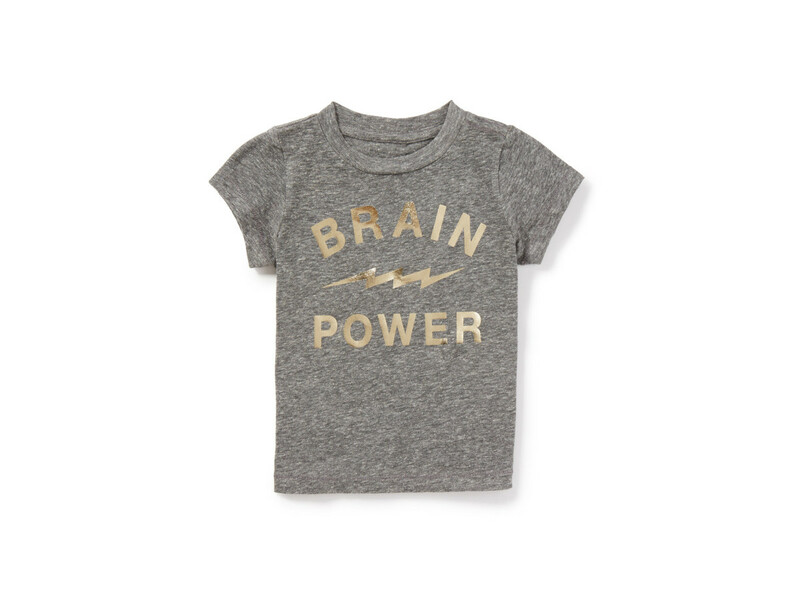 Peek Kids statement t-shirt, $34. Backpacks are now designed for fun as well as utility, as evidenced by these companions that tote everything from books to electronics. 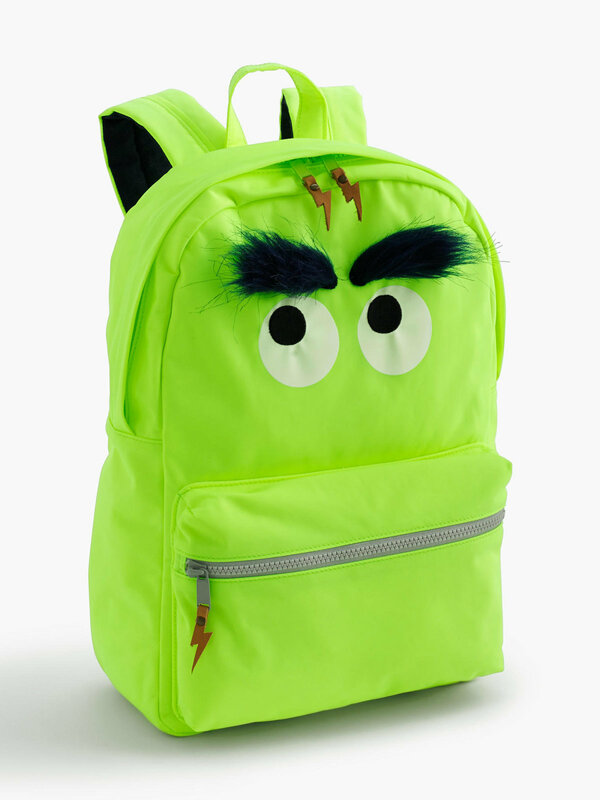 crewcuts Max the Monster Furry Backpack, $59.50. 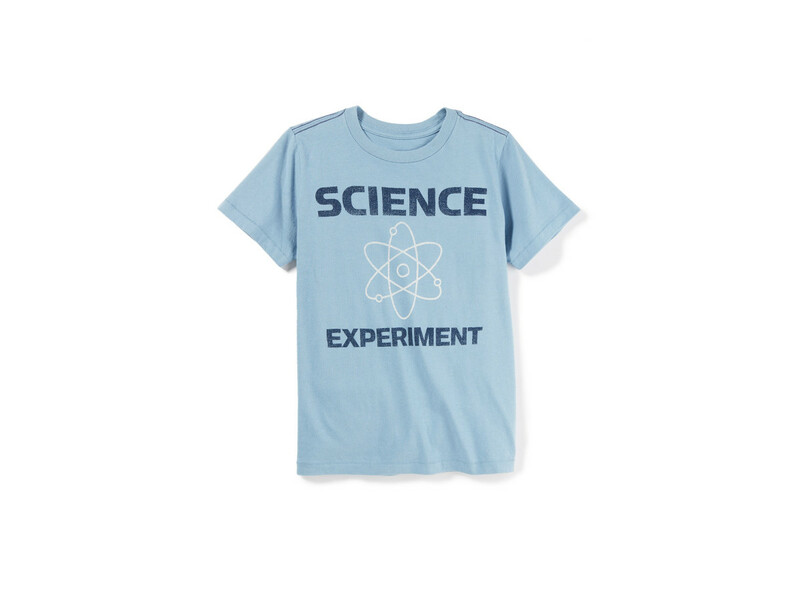 Start their love for STEM early with this humorous t-shirt that hints at what they become after too much sugar. Peek Kids statement t-shirt, $34. 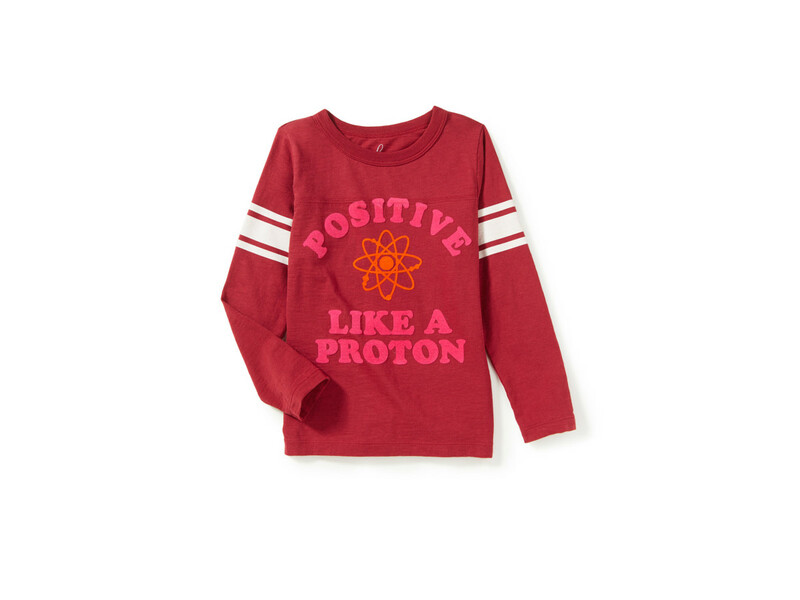 Kickstart a love for science and chemistry with this cheeky long-sleeve top. Peek Kids statement top, $42. 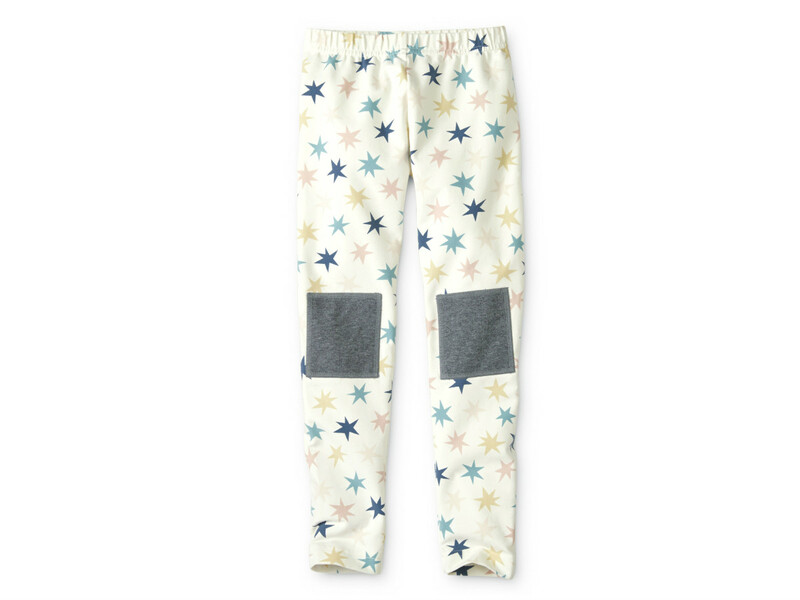 Leggings mean nothing can hold your kid back, and the fact that they're super cute is a total bonus. hanna Andersson Knee Patch Leggings in Soft White, $29. If a furry feline is preferred over a furry monster, there's a backpack for that too. 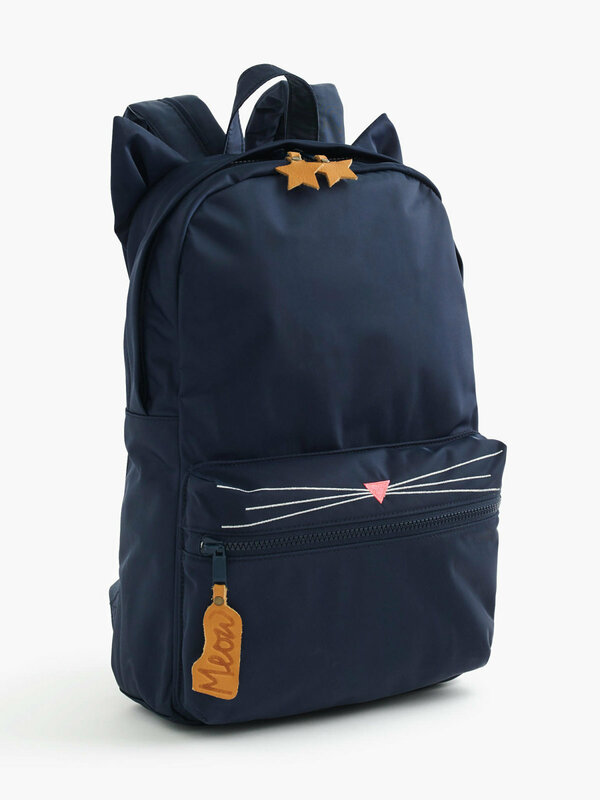 crewcuts Kitty Backpack, $59.50. 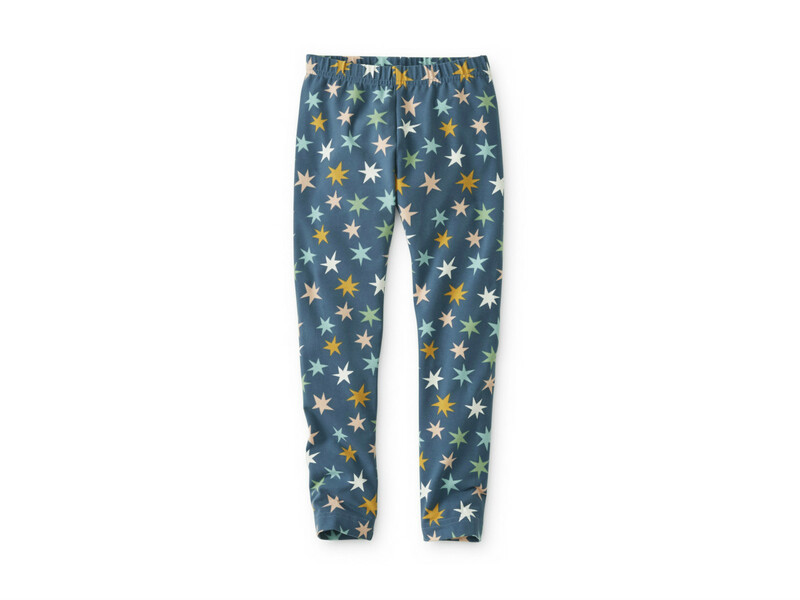 Camouflage is huge this season, especially on joggers and pants. 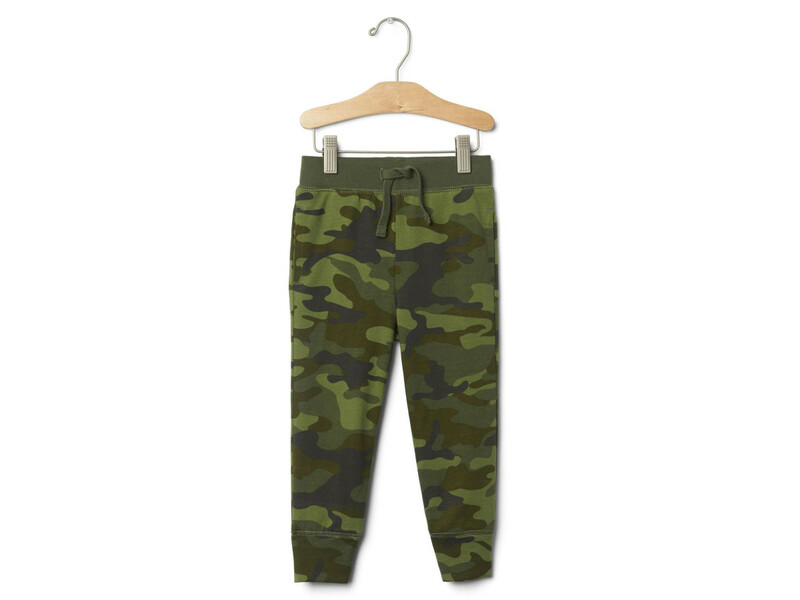 GAP Camo Jogger Pants, $16.95. 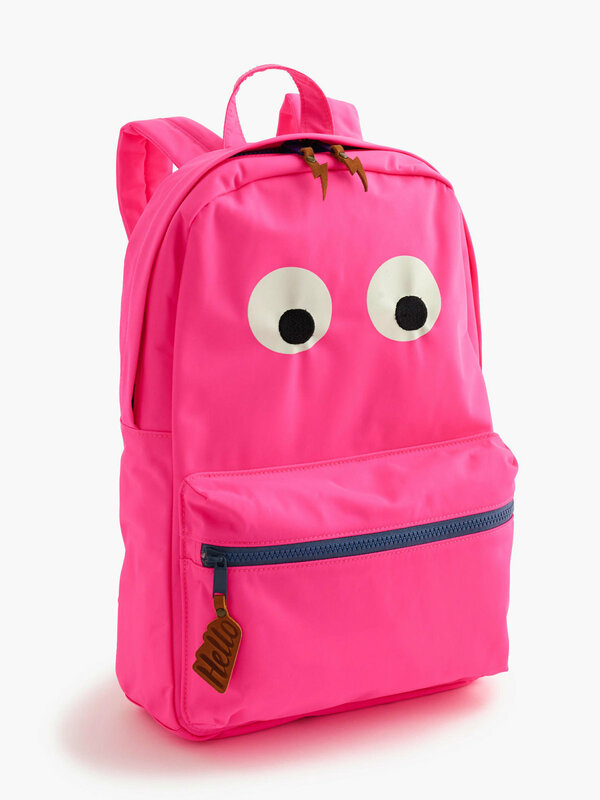 Simple yet silly, backpacks like this one help bring on a smile during long study sessions. crewcuts Max the Monster Backpack, $59.50. Start building confidence now with this bold crew-neck sweatshirt. 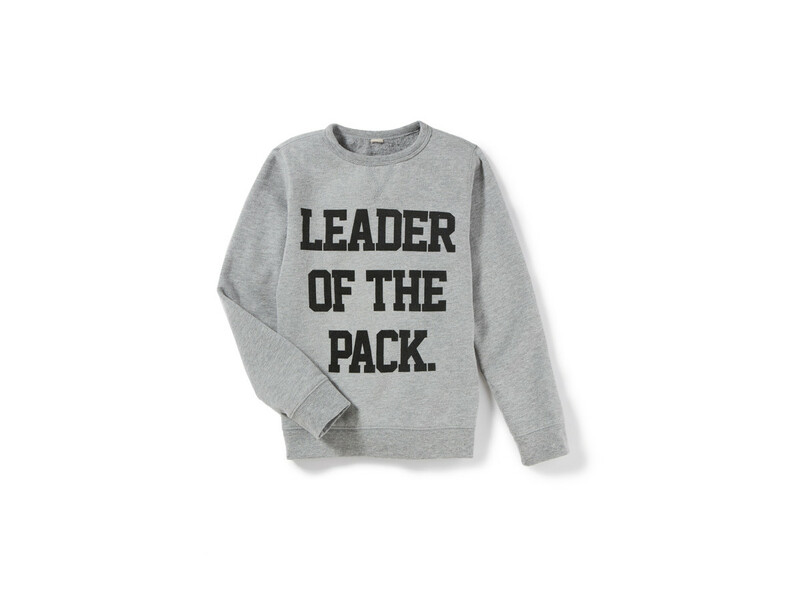 Peek Kids statement sweatshirt, $45.